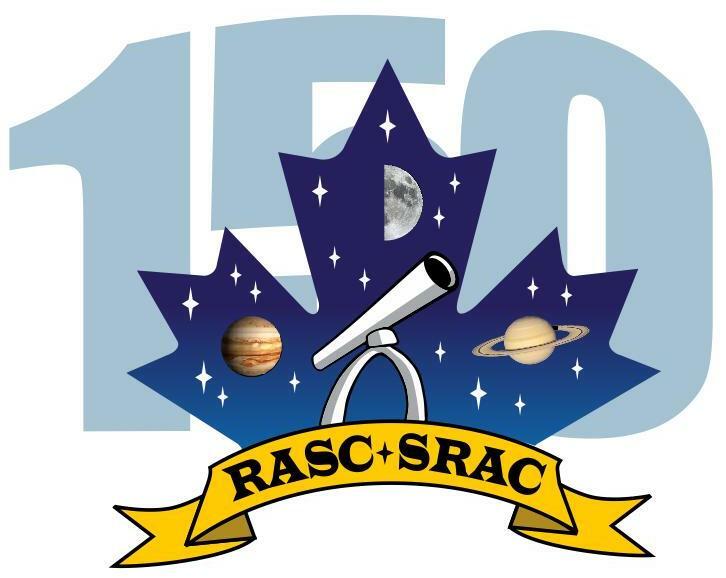 To celebrate Canada’s 150th birthday since Confederation, the RASC and the Fédération des Astronomes Amateurs du Québec (FAAQ) are sponsoring a first – a National Star Party. On Saturday, July 29, 2017, astronomy clubs from coast to coast to coast - will hold public star parties for the Canadian public at the same time. If it is clear, visitors will be able to observe a first quarter Moon and the planets Saturn and Jupiter. Even the International Space Station will make a pass or two that night. A handout specific to what is in the sky that night will be prepared and available for download and printing. We hope that we can make this first National Star Party a success and bring astronomy to thousands of Canadians. Here are handouts you can use for the Star Party - in English and French, in colour and black&white. They have a star chart showing the positions of the Moon, Jupiter and Saturn on July 29. Also the International Space Station is making multiple passes on July 29 - go to http://www.heavens-above.com and see when the ISS is passing over your observing site. Here is a list of RASC Centres and other amateur astronomy organizations which are participating in this National Star Party. Okanagan The Centre runs a star party at Mt Kobau in late July. Butter Pot Provincial Park, 40km west of St. John's. *Telescope observing is weather permitting. In the event of poor weather, star party activities will proceed on the Carlton Cards Mezzanine. Join us for the Canada 150 Star Party at the University of Toronto! View the Moon, Saturn and Jupiter through our telescopes. And watch for the International Space Station as it passes over Toronto. Plus, have all your cosmic questions answered by the U of T astronomers and members of the Royal Astronomical Society of Canada (RASC) who'll be on hand. The event at Metchosin municipal grounds, on Happy Valley Road, includes afternoon solar observing and workshops. Note that there is limited attendance for the Dominion Astrophysical Observatory event, so book your FREE ticket in advance. The Brandon and Area Astronomical Society will host an event at Spruce Woods Provincial Park. The observing will start at dusk following a presentation about Dark Sky Preserve plans for the park. Further information will be on our website and Facebook page. The Sudbury Astronomy Club and Science North will be working together to host our local version of the RASC celebration. It will be held at Dynamic Earth, starting at 8:30 or 9:00pm. If the weather is less than friendly to sky gazers, then we will move indoors to provide astronomy related program in the auditorium at Dynamic Earth. The Big Sky Astronomical Society will host an event at the Big Sky Observatory. This event will start at 8:00 PM with observing starting at dusk and ending at midnight. Further information is available on our website and Facebook page. The Big Sky Observatory is located at the Twin Valley Dam, which is on Highway 529, approximately 54 km southeast of High River. The North Bay Astronomy Club will be at the waterfront in North Bay for afternoon solar viewing from 3 until 5 pm. We plan on returning for evening viewing at approx 830 to 9 PM. This is of course weather permitting.